Seriousness in theory classess but lack of practical based infrastructure. Four year of learning with masti. Best state government college of Bihar. College should improve its management system. And should provide faculty to those branches where it needed. Overall College is good with all the modern technology. Training and placement office is well versed for recruitment and principal along with management are always there as helping hands for students. Its a govt college and the fee is very life which is good for people of Bihar. The alumni of our college are now working at many MNC and are ISRO scientist too. Which show the potential of the student. Best in Bihar for Engineering. BCE is managed by the Department of Technology and Science under the leadership of the Bihar government. As the beginning of this learning seat, it has shifted ahead with the outstanding aim of student’s training in the field of technology and science, not just the theoretical lessons scattered in numbers of engineering books but even the pragmatic, realistic practical solutions of the countless. Problems related to Engineering subjects faced by the working technocrats in different Industries, Govt. departments and R&D cells. The institute provides full-time B.Tech degree programs in obedience of technology and science viz. Engineering and Computer Science, Engineering in Electronics & Communication, Mechanical Engineering, Civil Engineering and Electrical Engineering. Why to Join Bhagalpur College of Engineering? Placement Information: This College has high percentage of campus placement. The placement cell is very impressive and active. It offers internship program for engineering students and even make easy final placements. Hostel: The College offers comfortable hostel facilities to approximately all students. There are independent large hostels for Girls and Boys in the campus. The overall facility of hostel is 437 with the entire necessary services together with color TV, indoor and outdoor gaming facilities. The entire hostels even have the facilities of separate mess. Laboratory: This Institute has well maintained and well equipped labs with the entire basic and necessary amenities. Library: The Library of this college treats as a central group for meeting the requirements of information of the academic society of the institution and for organization, collection, and information dissemination. The library of college is a best store house of the most excellent available technical and scientific materials. The library of college has even a wonderful collection of multimedia dictionaries and Encyclopedias. BCECE application form has been released. The last date to fill the application form is March 28, 2018 11:59 PM. Candidates need to upload the scanned copies of their passport size coloured photograph and signature while filling the application form. BCECE (Bihar Combined Entrance Competitive Exam) is a state-level entrance exam organized by BCECE board annually, for admission to various professional courses of Medical, Engineering and Agriculture stream in the reputed institutes of Bihar. BCECE Application Form 2019 will be available from February 2019. BCECE (Bihar Combined Entrance Competitive Examination) is conducted by BCECE State board for admission into various professional courses like medical, engineering and agriculture, etc. 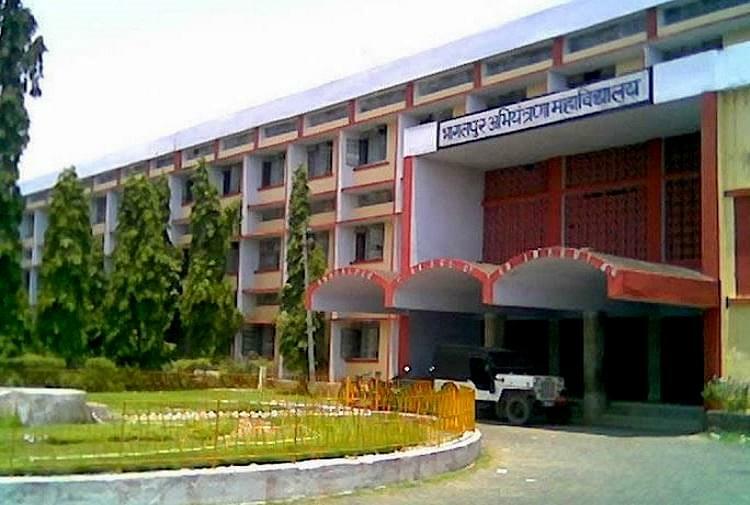 Bhagalpur College of Engineering is famous for its computer science and engineering department not only because it is the first government college in Bihar to start the particular course but also it is best at this. Studying in this college will earn you other brownie points also like scholarship scheme, excellent placement services. I passed BCECE for taking admission in BCE Bhagalpur. BCECE does not give no. It only give rank & I secured 530 in Bihar. I choose this particular collage because it is the top collage of Bihar It's entrance examination in two part 1st is stage1 or PT ,the qualifying student attend 2nd stage or Mains . "College where you get practical knowledge"
BCECE, I was more inclined towards computer science and i always wanted to study in my good govt college which was well provided by by BCE Bhagalpur.